"This is the best Manhattan you'll ever have." 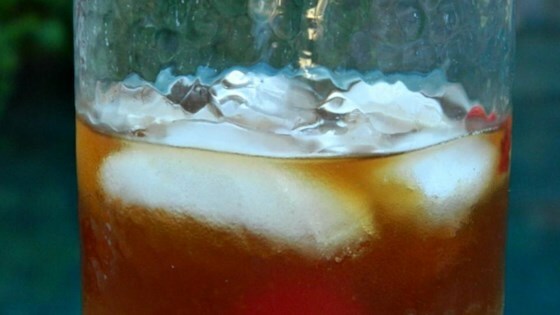 Pour rum and vermouth over ice cubes, place cherry in glass; stir, then sit back and enjoy. This is a great manhattan, but as a purist, it's not a manhattan without the Rye. A great Rum Drink nonetheless.